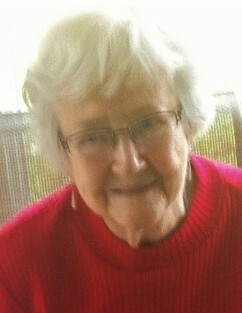 A memorial service for Lois L. Dupler, 93, who lived in Bradenton for 54 years, will be at 1 p.m. Saturday, January 19, 2019, in the chapel at Christ Episcopal Church, 4030 Manatee Ave., Bradenton, Fla.
Mrs. Dupler died in her sleep at Élan Buena Vista assisted living in The Villages after a short illness. She was born December 12, 1925, in Uniontown, Pa., and was a graduate of Uniontown High School there. She married the late Ray P. Dupler on March 30, 1958, in Lancaster, Ohio. They moved to Marietta, Ga., a little more than a year later and moved again when Mr. Dupler retired from the U.S. Navy and started a new career in Bradenton in January 1962. Mrs. Dupler was an insurance clerk in the business office of Manatee Memorial Hospital for 16 years and previously had been a bookkeeper for Morris E. Cox Motors in Bradenton about five years. She was later a longtime volunteer for Meals on Wheels. She was a 54-year member of Christ Church, where she participated in the Episcopal Church Women’s Camaraderie chapter and Daughters of the King. She had been a Faith Alive team member and was active in Cursillo and the Kairos Prison Ministry. Survivors include a daughter, Dayna Dupler Straehley, of The Villages; son-in-law, Stephen Straehley, of The Villages; a granddaughter, Lisa Straehley, of Reno, Nev.; a grandson, Michael Straehley, of Rockledge; a brother, Thomas G. Newcomer, of Baltimore; a sister, Judy Redmond, of Brownsville, Pa.; and many nieces and nephews. Entombment will be at Mansion Memorial Gardens in Ellenton. In lieu of flowers, memorial donations may be made for The Way Café meals for the homeless. Checks should be payable to St. Andrew’s Episcopal Church, 100 N. Palmway, Lake Worth, FL 33460, and The Way Café noted.